The word du jour at least in the data center space is "Modularity". The only word used more often and loosely in the IT space is "Cloud". Even though the two words "Modularity" and "Cloud" are hyped, it doesn't mean there aren't real opportunities in both areas of technology. The trick is in understanding how the terms should be used and where and how they should be applied. 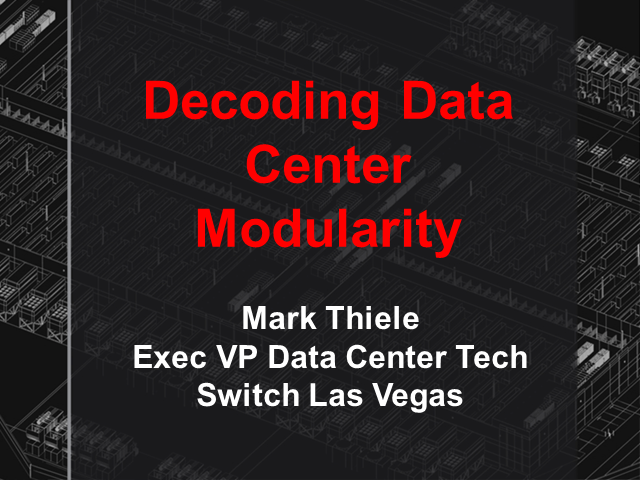 Join Mark Thiele of Data Center Pulse at this webinar as he uncovers the real meaning and value of data center modularity.